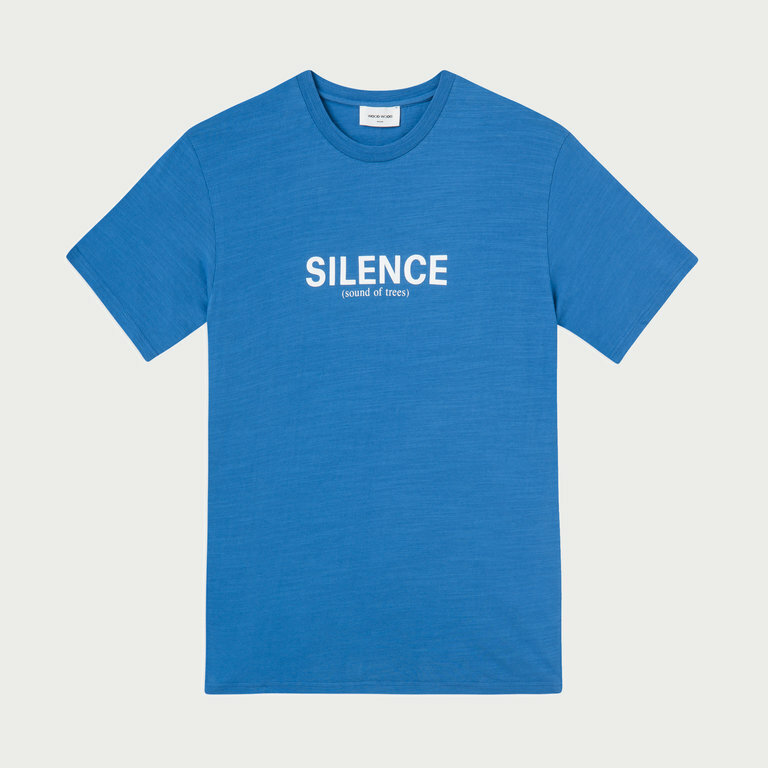 WoodWood's Perry T-shirt Blue from the Spring-Summer 19 'The Outside' Collection is made from slub cotton jersey. The Perry Tee features a text print across the chest and a ribbed round neckline. WoodWood's Perry T-shirt Blue from the Spring-Summer 19 'The Outside' Collection is made from slub cotton jersey. The Perry Tee features a text print across the chest, a ribbed round neckline and topstitched edges.